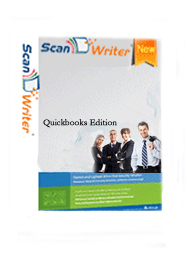 Quickbooks Edition: offers unprecedented Data Entry Automation features converting bank and credit card statements, reciepts, bills, and more into QuickBooks entries in seconds! Excel Edition: offers unprecedented Data Entry Automation features converting bank and credit card statements, reciepts, bills, and more into Excel entries in seconds! Auto check feature for Vendor Bill Select P.O. 100% Accuracy Allowing You To Instant Review Updated Financial Reports. Scans Bank Statements, Receipts, Invoices, Bills and Much More! Supports Checks, Deposits, Credit Charges/Credits and Much More! Quickly & efficiently reads your financial documents. Instantly cuts hourly labor costs by 90%. In-house security and privacy amongst financial documentation so that never have to worry about your private documents leaving the premises or getting into the wrong hands. Reduces the need for multiple checkpoints to account for human error. Transforms multi-step accounting acitivities into one streamlined task. Route deleted files to a folder location. Takes minutes to read and review transactions before importing into QuickBooks. Takes minutes to read and review transactions before creating Excel data file. Takes the click of a button to instantly create QuickBooks entries. Takes the click of a button to instantly create an Excel data file. Able to review and check entries before QuickBooks import to verify the validity and integrity of data. Supports over 30 QuickBooks transaction types including but not limited to: Bills, Checks, Credit Card Charges/Credits, etc. Call 800-688-4281 for a Free Demo about ScanWriter or Schedule a Free Webinar about Data Entry Automation. See the features and experience the benefits firsthand. Talk to one of our friendly representatives today! 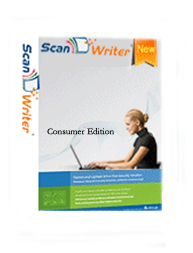 Email us at info@personable.com for more info about ScanWriter..